I’ve just come back from a lovely, relaxing, mini holiday in Cornwall; a beautiful place with its own fascinating history. My particular interest in Cornwall, (as you may have guessed) was in its delicious and unique foods! I successfully stuffed myself for 4 days, eating fish, cooked breakfasts, pasties, scones and much more. The delicious choices are endless, there are so many places to eat, and snack. Definitely do not go there on a diet! Having a long coastline and plenty of fishing villages means that there is a substantial selection of fresh fish and seafood restaurants. 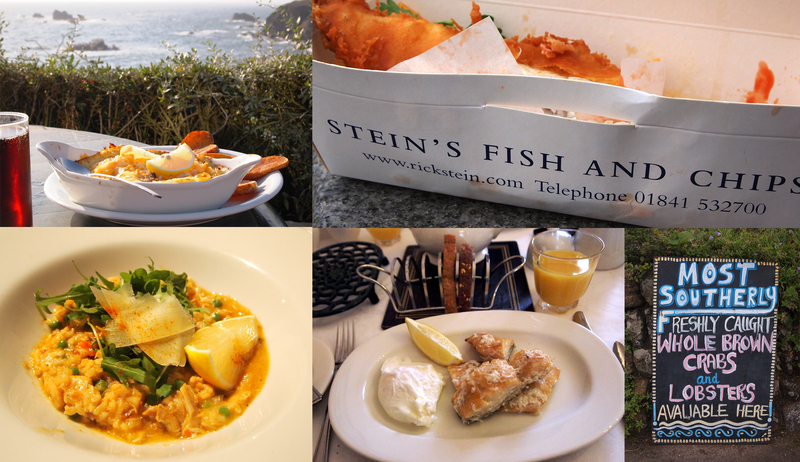 Rick Stein has even opened 4 restaurants in Padstow, Cornwall, as well as a fish & chips restaurant and seafood bar in Falmouth. The flavour of the fresh fish was absolutely delicious, the tastiest I have ever had in England. 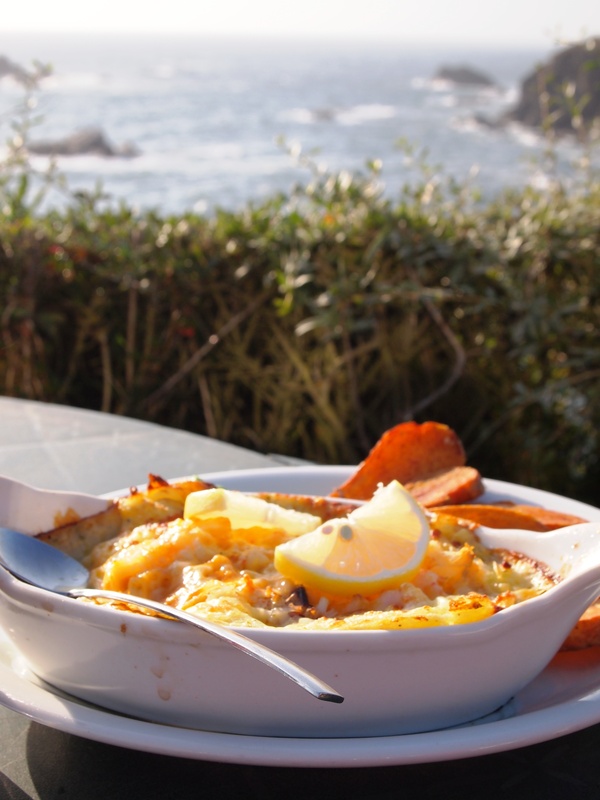 From top left cockwise: fish pie at Polpear cafe, The Lizard. Rick Stein's fish & chips in Falmouth. Fresh fish sign at The Lizard. Traditional English Breakfast of smoked haddock and poached egg at the Camilla House, Penzance. Crab, prawn and smoked salmon risotto, East Looe. Although there are some earlier mentions of pasties (dating as far back as 1200), the most known history of pasties is that they were designed for the tin miners to eat at work, so that their dirty hands would not touch the food. The delicious beef, onion, potato and swede filling and main pastry casing would be eaten and the hard crimped pastry crust would be discarded. 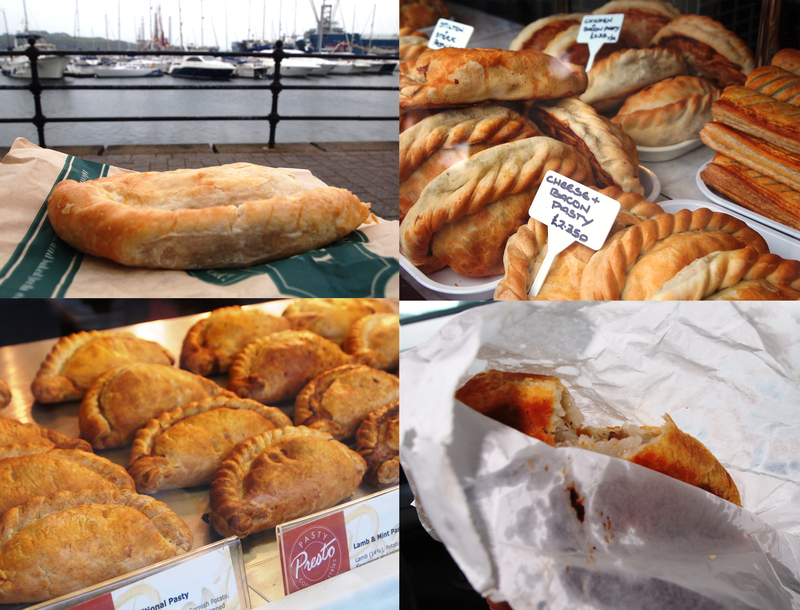 The traditional Cornish pasty even has Protected Geographical Indication in Europe, so that you cannot label it Cornish if it hasn’t been made there. These days you can get all sorts of fillings, I had a chicken and vegetable pasty in Falmouth, but there are also vegetarian, wholemeal, and cheese ones. As a tourist in Cornwall, the pasty is pretty exciting! I passed many pasty shops in every town, even the small villages seem to cater for the pasty craving visitor! 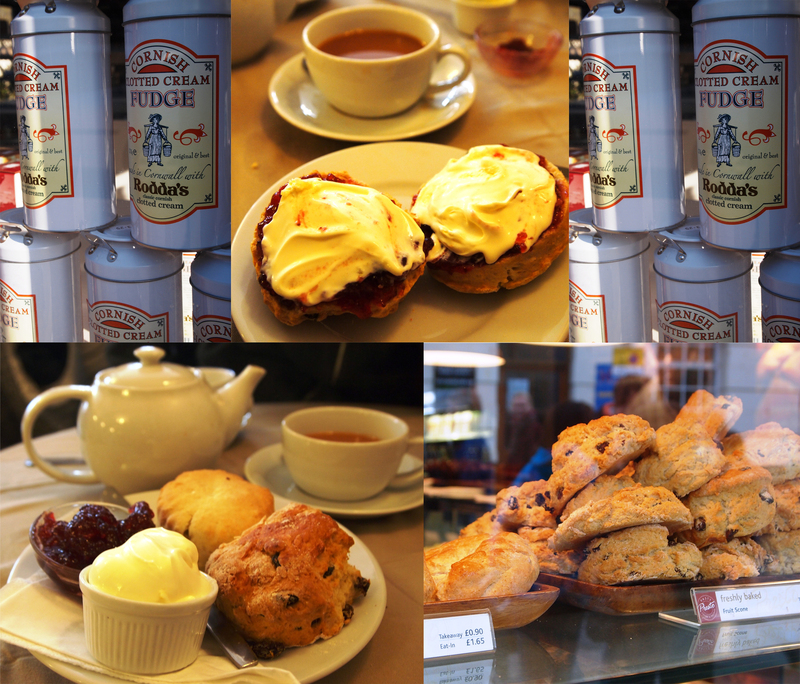 Clotted cream is made from the fat from full fat milk, boiled off and then cooled. For my non British friends – it is a delicious, thick, sweet cream which is traditionally eaten on a scone as part of a cream tea, with jam and tea. 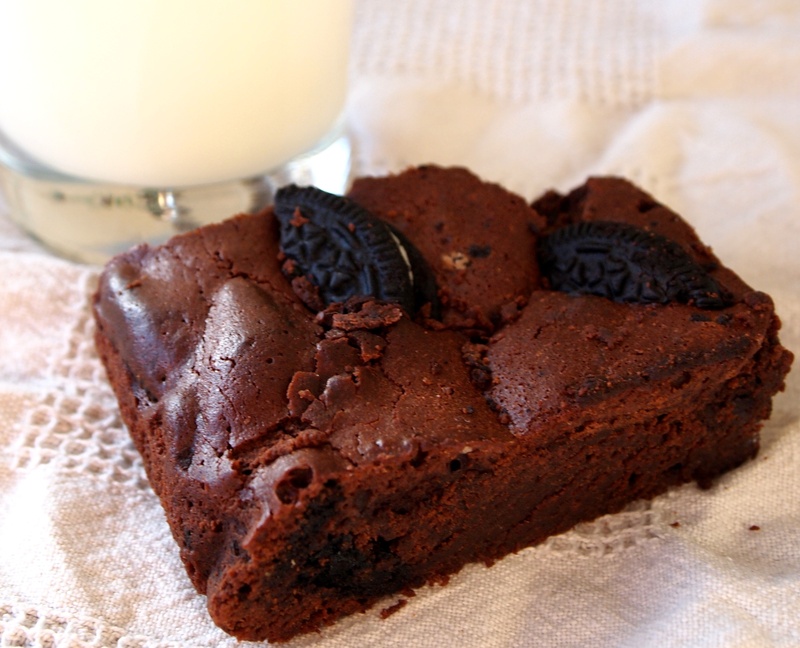 If you haven’t tried this yet, it really is the most scrumptious English treat in existence! 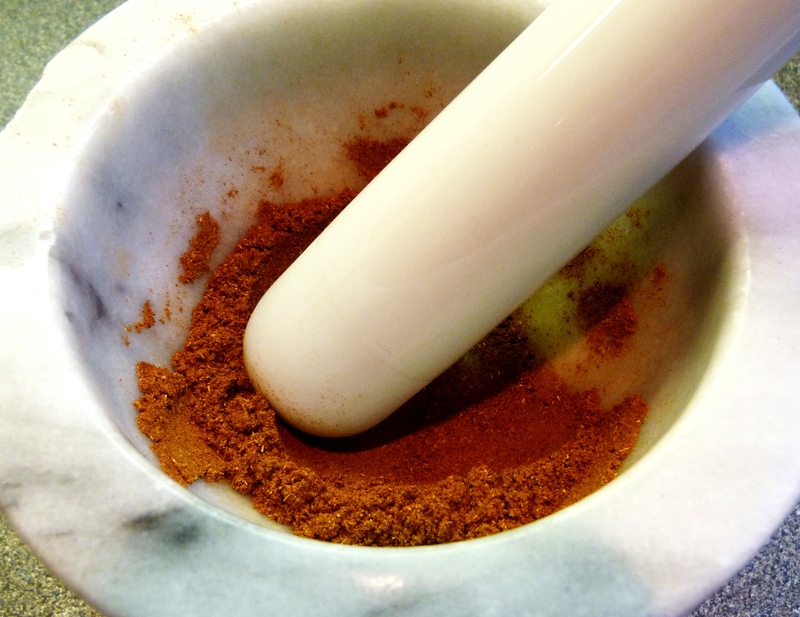 There’s plenty of recipes online if you want to try and make it yourself. In Devon, they spread the clotted cream first and then the jam, however in Cornwall they do it the other way around! I have to agree with the Cornish way! 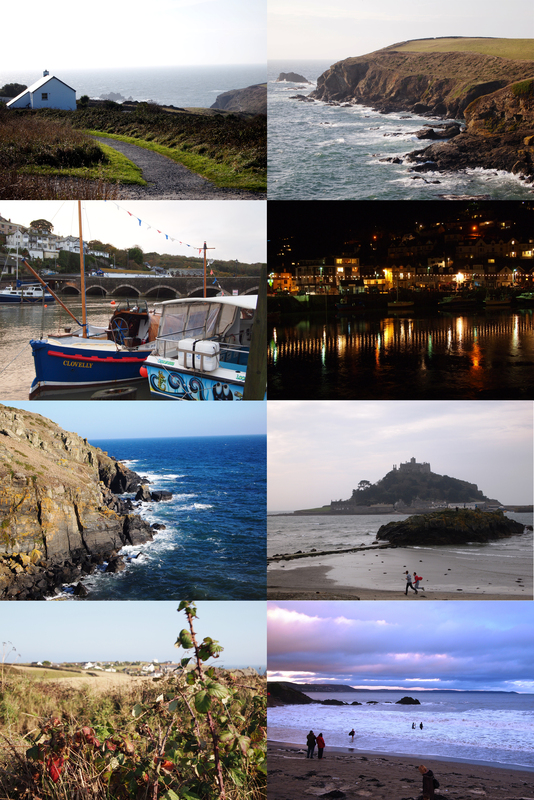 And here’s a few extras I just couldn’t resist posting, plus a few pictures of the beautiful Cornish scenery. From top left clockwise: The Lizard, the Lizard cliffs, East Looe at night, St Michael's Mount, East Looe at sunset, The Lizard blackberry bushes, The Lizard cliffs, East Looe boats. Posted in Personal, Random and tagged Cornwall, eat, England, fish, food, pasty, photo, photography, photos, scones, tea. Bookmark the permalink. The Peels, Seeds and Stalks. Am I the only person who thinks vegetable waste is really beautiful? 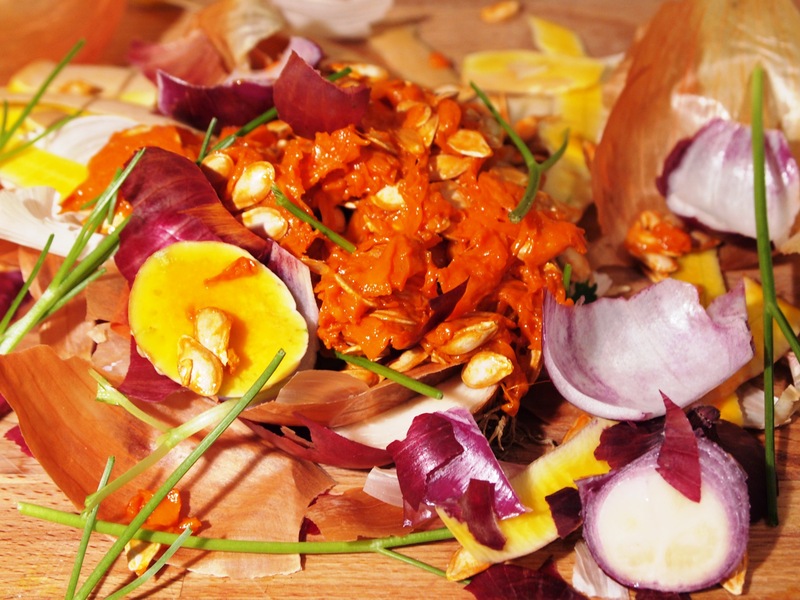 I love the mixtures of colours and textures that comes from the remains of your cooking; the bits you would throw in the bin or compost. Posted in Personal, Random and tagged compost, food, photo, photography, photos, vegetable waste, vegetables, waste. Bookmark the permalink.